A brief history of the pocket-sized bubbly—plus, the best miniature sparkling wine bottles to buy today. If a glass of champagne represents buttoned-up elegance, the easily-transportable champagne mini is the equivalent of letting down your hair (while still keeping things chic, of course). If the standard bottle is a gala, the mini is an after-party on the town. Referring to those bottles that hold less than 750 mL, 'minis' can include larger Demis, which are half the size, and Piccolos, also called quarters or splits. The earliest mention of champagne minis can be found in archival documents belonging to , who’ve staked the claim for the first mini bottle: a split released in 1893 under the now-discontinued White Star label. Now commonplace at bachelorette parties and Fashion Week week parties alike, sparkling wine minis have come to represent the most treasured of celebratory occasions. 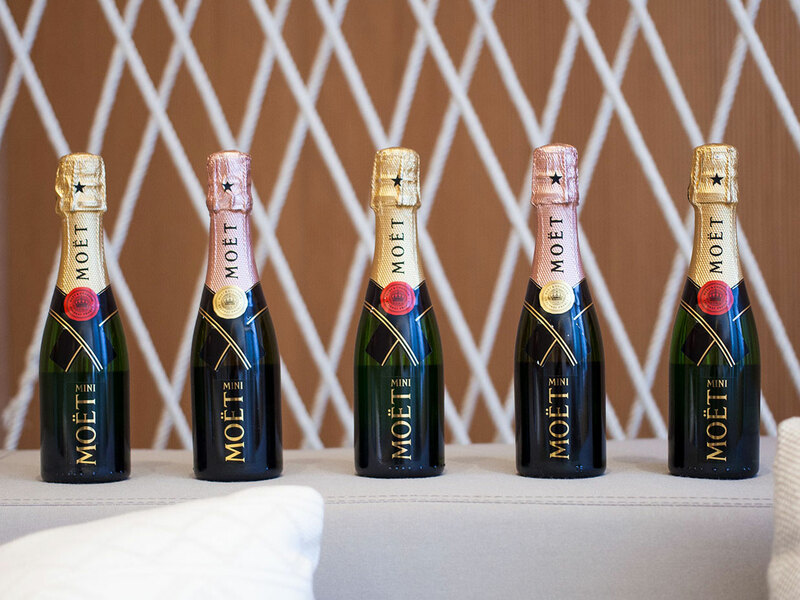 Last year, Moët even debuted a champagne vending machine at the Golden Globes. (Wanting to outdo renowned gift-giver Kris Jenner, singer John Legend and his wife Chrissy Teigen famously ordered a machine of their own for the Kardashian matriarch). 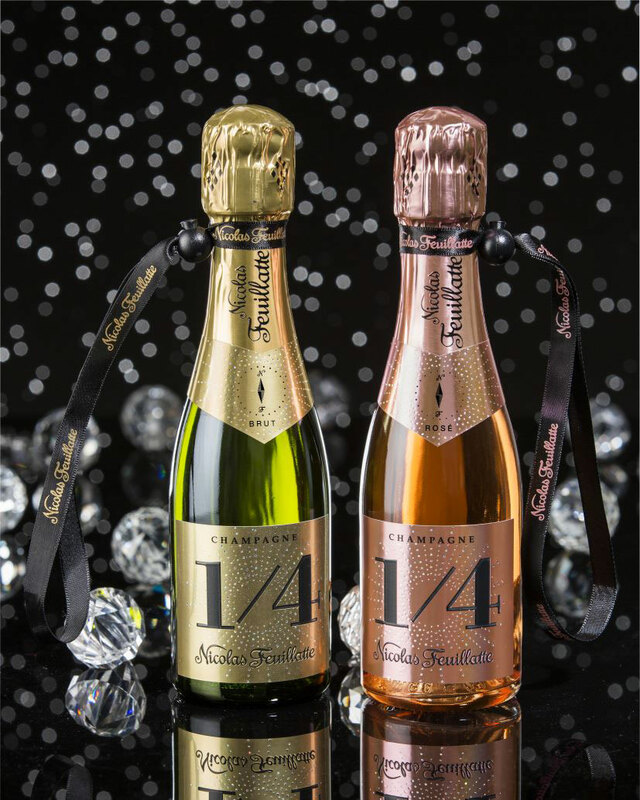 Beyond Moët, standouts include Pommery’s beloved extra-dry POP and “One Four” by Nicolas Feuillatte. And plenty of non-champagne sparkling wines can be found in mini formats as well, from , a Spanish cava, to , an Italian prosecco. For consumers, this means a wide variety of options for home entertaining. So how can you bring some of that signature red-carpet magic to a fancy at-home affair of your own? 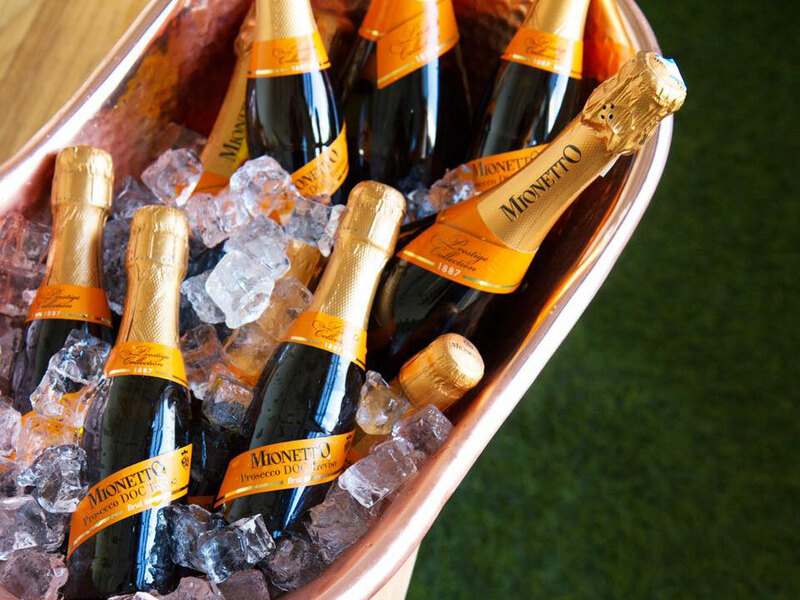 Christine Ngo Isaac, brand director of consumer engagement at Moët & Chandon, uses Moët Minis for a variety of occasions, from amped-up weekend brunches to house parties. She sees them as a way to modernize the traditional champagne ritual, and encourage champagne-drinking at a wider range of events rather than just at weddings and anniversaries. Despite a premium price tag, mini bottles are also smart options in a restaurant and bar setting—especially one where champagne isn’t poured at a high volume on a nightly basis, and thus risks going flat if served out of a 750mL bottle. With experience managing various beverage programs, Sarah Tracey says guests don’t mind paying more to ensure consistent freshness and know exactly what brand they are getting. Ready to shop for your own champagne and sparkling wine minis? We’ve rounded up a selection of our favorite bottles—at every price range—for elevated parties and stocking stuffers alike. The gold standard for champagne minis, the miniature version of Moët & Chandon’s flagship bottling touts the same signature nose of peach and pineapple with a full palate and crisp finish. For a pink option, Nicolas Feuillatte’s beloved rosé offers floral and fruity notes, including red cherry and raspberry. Another early entry to the market. the extra-dry Pommery POP is well-recognized for its hallmark blue bottle and notes of apple, orange, and lemon. For a Spanish cava option, try Anna Codorníu’s festive mini, which offers a soft palate with elegant citrus notes that make it ideal for pairing with salty food. Perfect for stocking stuffers, this more affordable prosecco option balances a light and dry body with a blast of fruity notes.